Admire the grand and evocative design of Temple of Dawn (Wat Arun), a towering Buddhist temple located in the heart of Bangkok. Established in the 1600s--but gaining its distinctive porcelain-clad prangs (spires) during the reign of King Rama II in the early 19th century--the temple represents an apex of religious architecture and is one of the best maintained of all buildings commissioned by the Thai monarchy. Open to the public as a place of worship and tourism, the site contains prized artifacts relating to the religious and royal history of Thailand. 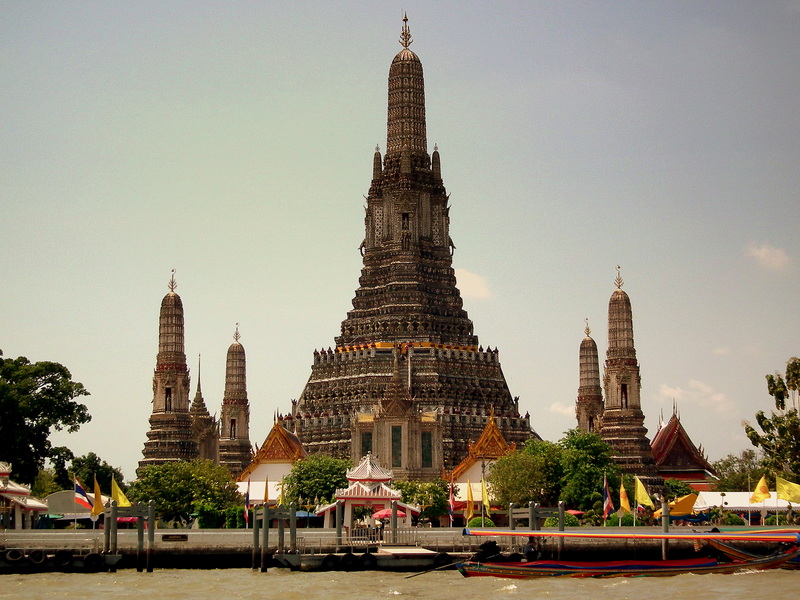 Plan to visit Temple of Dawn (Wat Arun) and other customer-reviewed, writer-recommended Bangkok attractions using our Bangkok trip builder . The arrival and departure of Wat Arun happens with boat and that makes you interesting experience to participate in the intense movement of the Chao Phraya River. This temple referred me the word joy. Beautiful ceramic covering the Stupas and beautiful garden around the place. Only 50 BHT entry fee. Very impressive and there's some additional nice things around, which you can see even without paying. I got a Buddhist blessing from the monk in the temple just right of Wat Arun. It was so peaceful and not crowded there. Loved it!!! Also there's souvenirs and stuff around, but I'd recommend not buying from there as they are overpriced. Taking the ferry from the other side of the river is cheap and quick. Outside is well maintained and also nice. Inside has some very nice buildings and architecture. Go in the morning before the throngs of people arrive. Do not buy any souvenirs unless you are prepared to pay a lot more for them compared to elsewhere.